January 29, 2011 will be remembered in the history of Brazilian KPOP fandoms. A Brazilian TV station called Rede TV! aired an over 7 minutes special only talking about KPOP on the TV show “Leitura Dinamica”. Since the the last week, the cultural editor of the show, Mauricio Varnum, has been in contact with the Brazilian kpop fans looking for references, reviews… a real in-depth research about the actual presence of this musical genre that dominates the asian music market and now catch the world’s attention, and specially in Brazil. 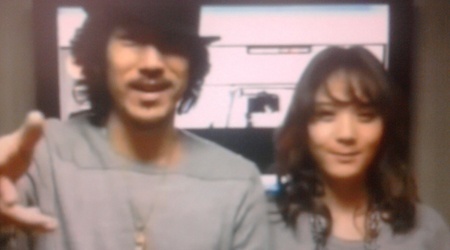 As a surprise to all Brazilian fans, Tiger JK (Drunken Tiger) and his wife, Yoon Mirae, recorded a lovely video thanking all the fans in Brazil for love and support KPOP, they also thanked the tv show for the opportunity and for spread Korean Music in Brazil. The message was just a preview before the KPOP special. Check out the videos by clicking here!